Discussion in 'Gen 3 Prius Care, Maintenance & Troubleshooting' started by lumpy95, Mar 17, 2019. My 2013 Prius 3 has been running excellent. In February I took it in for a 6 month checkup and all was fine and they did the safety recall on it. It's been running as usual since until Saturday morning 3/9/19. I drove to town and stopped at the Post Office, turned off the car, and locked it. I came out and unlocked it and it started fine so I drove to McDonalds for breakfast, turned it off and locked it. After Breakfast I came out and unlocked it and got in and when pushing the start button there was NOTHING on the display and all the doors were locked except the DS door that I had unlocked to get into the car. I though maybe battery so I held the key fob to the button and nothing. My next move was to call AAA and he showed up and tried to use a portable booster to start the car. The booster would go through a sequence and apply a charge but as soon as the booster got to that point, the dash lights would come on and kick out the booster and the dash lights died. The lights only flashed for a split second and went dead again. I finally had it towed to the dealer and their service dept. won't be there until tomorrow (Monday). Just curious if this has happened to anyone else and if anyone knows what may be wrong. it is likely a bad 12v battery, it it original? how many miles on her? please let us know what they say, all the best! lumpy95 and Mendel Leisk like this. Thanks for the replies so far but the battery is less than a year old and my headlights weren't on. It just has a little under 17,000 miles on it. I don't drive much so I keep a Battery Tender on it during the week. I had the OEM battery in a Nissan die at 14 months old. Just lost a cell for some reason. Sounds like you're on it. Our situation is similar, and I keep a CTEK 4.3 hooked up whenever it's idle. If you want to spring for a diagnostic device, Solar BA5 (or similar) is an electronic load tester that'll tell you the tested Cold Cranking Amps, give a verdict. They're about $60 in the US I think. Being at the dealership they'll have something similar albeit pro-level, to do assessment. Toyota called this morning to let me know that the Diagnostic fee is $119.00 and that was the last I heard from them so it must be more than a battery or they would have found that right away. Well, I was wrong. They just called and said that the new battery was evidently bad so they replaced it and all the diagnostic test's were good. audiodave, Fyretuck, Raytheeagle and 2 others like this. congrats! i'm assuming they waived the diagnostic fee? He didn't mention the Diagnostic fees so I won't know until I pick it up. He did say that the battery was free. On another note, I told him that I leave a Battery Tender automatic charger on it during the week ( it was originally recommended by one of their mechanics) and he said that maybe I shouldn't leave it on all week. Since it's an automatic charger that only keeps the battery at a full charge and shuts off, I'm not sure why that would be a problem. it's not a problem if it's a quality agm tender. This what I use and where it connects to. Evidently that AAA driver didn't know what he was doing by using that portable charge. The service tech just put a small charge on it to get it started long enough to get it in the service bay and then the battery died again. If it happens again (God forbid), I'll know that it has to take more of a charge than from any portable device. Guess I'll wait on Mendel's blessing before marking this solved. BTW, I put the charger on it as soon as I got home since it's a brand new battery. If I remember right, new battery's don't come with a full charge. audiodave, Simtronic and bisco like this. Maybe I'm out of the loop, but I though the HV battery charged the 12v battery? Essentially it will never lose power? But it will take power from the HV and the car might have to be on for the HV to charge the 12v. kc5dlo and pidginbil like this. 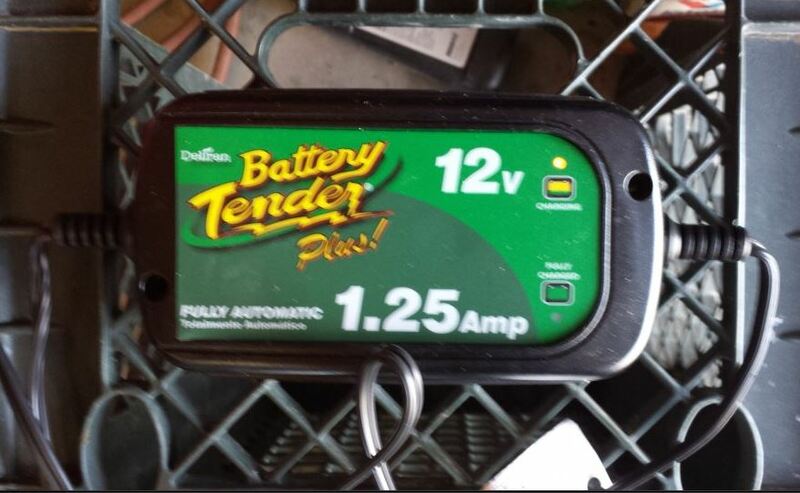 When you take your foot off the gas or press the brake pedal the car regens battery charge. Whenever the car isn't running the aux.12 volt is losing power and it is what starts the car. 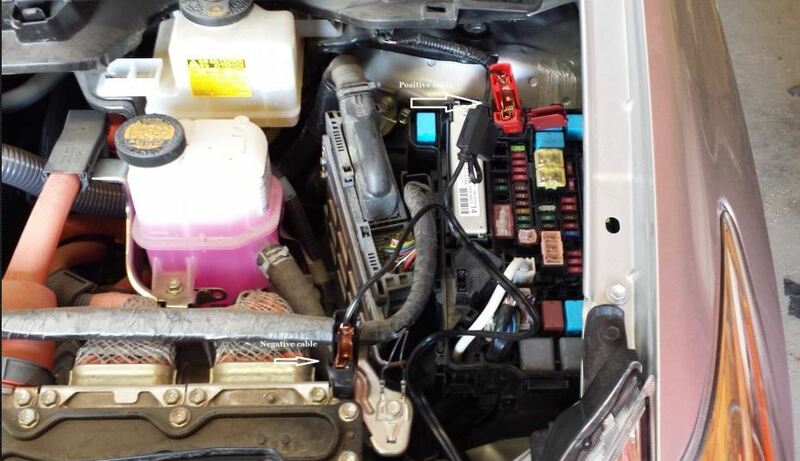 If the aux 12 volt battery is bad it won't start the car. I use a CTEK 4.3 smart charger, hooked up more often than not, with our sporadic usage of the car. It's designed to run through a charge regimen, and then is ok to be left connected, reverts to maintenance mode, just giving a periodic tick. Anything smart charger, around 4~ amp range max, should be good. So my setup pictured above should be golden then, right ? My 2010 Prius goes into limp mode; the inverter died! My Gen 3 2010 Prius's battery constantly dies.